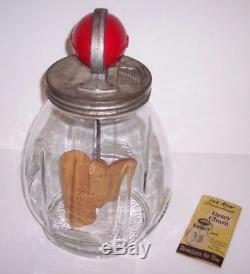 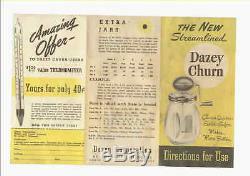 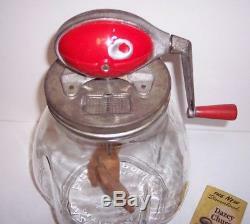 Vintage Dazey Butter Churn No. 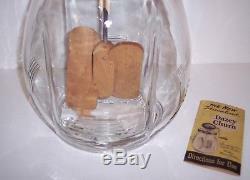 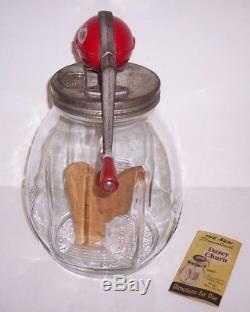 8 Red Ball 8 Quart Glass Jar Wood Paddles Booklet. 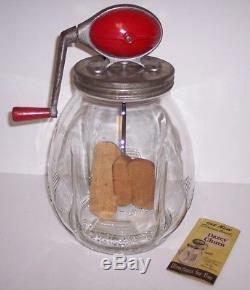 8 Quart Streamlined Glass Jar. 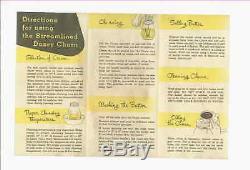 Comes with the Original Paper Insturction Booklet. 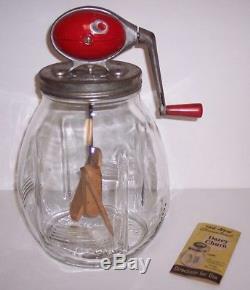 No chips, scratches or rust! 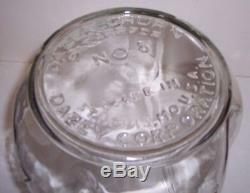 There is a Dent with paint loss on one side of the Red football.